For some people, their dream holiday season peaks with the keys to the classic car they’ve always wanted. Whether they’re buying it for themselves or it’s a gift, it would be a purchase talked about for years. Unless that dream car turns up dirty or damaged because it arrived in an open truck. “There’s a lot of elements out there that people don’t realize that are out there that your car is going to deal with if you go with open shipping,” Eric Ray, chief executive of Easy Auto Ship, ClassicCars.com’s official shipping partner, said. It’s not just the ice and snow that buyers should be worried about. But the concerns about open shipping don’t end when winter begins to retreat. Inclement weather is a concern in every season, and nearly all trucks spew out diesel fume, which can stick to items being transported in the open — including your car. “You just don’t know what you’re going to get there,” Ray said of open shipping. Some buyers to shy away from enclosed shipping because of the anticipated costs, but Easy Auto Ship says it fills the gap between relatively inexpensive open shipping and the big-name companies. All of the subcontractors own their own enclosed shipping trailers. 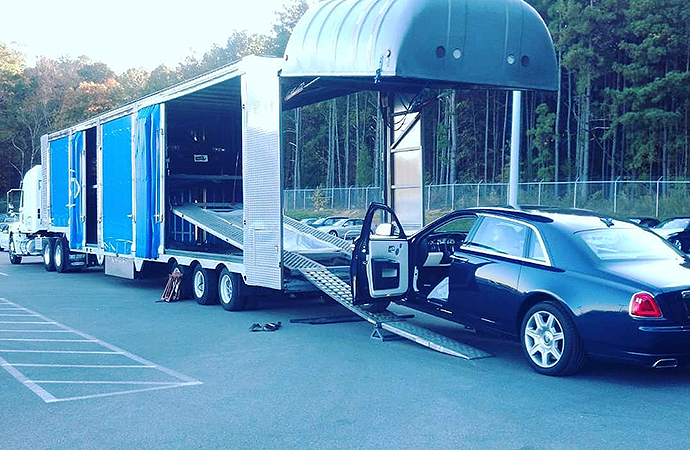 And, unlike some of the big names, Ray said Easy Autoship finds a driver who really cares about your car. The drivers are insured but Easy Auto Ship takes out an extra insurance policy, which really allows for peace of mind. So far, Easy Auto Ship has moved more than 20,000 cars from one destination to the other and has an A+ rating from the Better Business Bureau. The company also has overseas operations. To find out more and get an instant enclosed shipping quote that’s less than the big guys, go to Easy Auto Ship’s website.